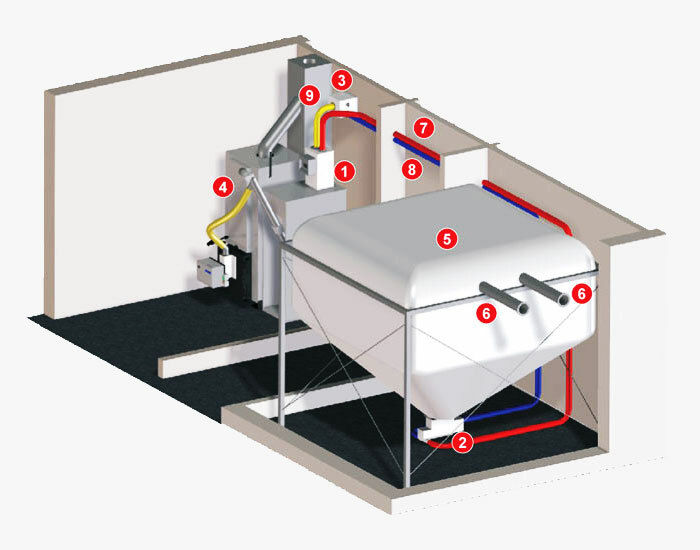 The system pneumatic transport of the pellet AspiroEnergy allows to connect the reservoir of the pellet boiler with a main silos and stored where a large quantity of pellets. 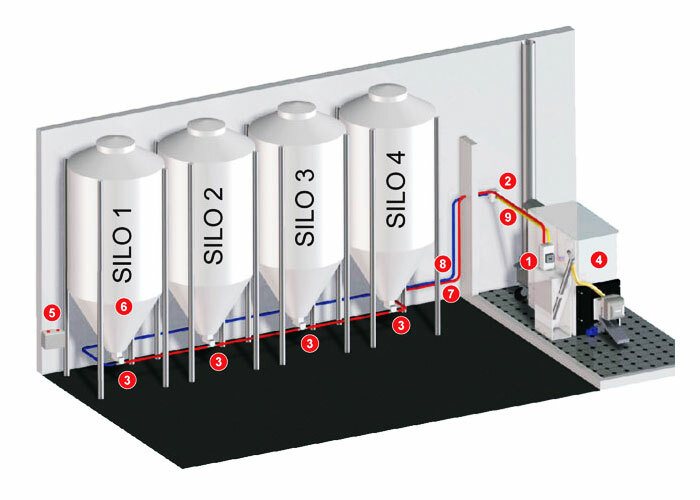 The system is automatic, draws the pellets from the silos and pours it into the tank to be filled. 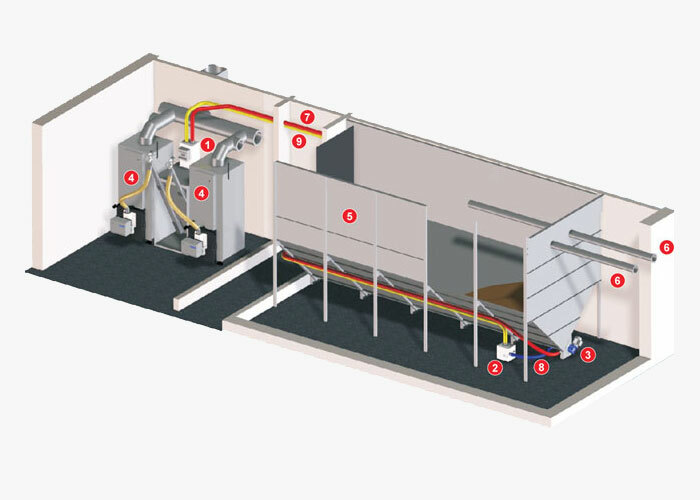 With three different versions, SMALL, MEDIUM e LARGE, It is perfectly suited to small domestic installation on large industrial facilities by solving the problem of the transport and supply of pellets greatly increasing the autonomy fully automated. AspiroEnergy is an innovative system for the pellet transport even for long distances. It is built entirely in stainless steel and it is easy to apply. It Includes operation also programmed for time slots and it is ideal for systems with high gradients between the boiler and the tank. AspiroEnergy must be positioned above the pellet tank of the boiler. The control panel manages the load times and hourly operating schedules, manages visual and audible alarm signals. The discharge valve placed below the aspirator warns the lack of pellets in the tank and activates the feeder turbine that aspires for a programmed time, at the expiration of this time the turbine stops and the material deposited nell'aspiratore, by gravity falls in the tank, by opening the drain valve. The drain valve closes only if the tank is full of pellets and the sensor does not activate the turbine until the valve does not close completely. The suction turbine creates the vacuum for the aspiration of the pellet and a compression of the air for blowing in the dosing cockpit, placed under the main tank. Having an intermediate position between the main tank and the thermal power plant it can also be positioned in other environments to eliminate noise. The extraction of the pellet cockpit is placed under the main tank. It serves for the determination of the pellet in the suction phase and is controlled by the control panel of the vacuum cleaner. It consists of a horizontal extraction screw, by a door of pellet inspection / emptying and to launch a sump for AspiroEnergy. The modular extractors can be single or double screw and are used in large tanks combined with inclined planes in fabric, sheet or wood paneling. 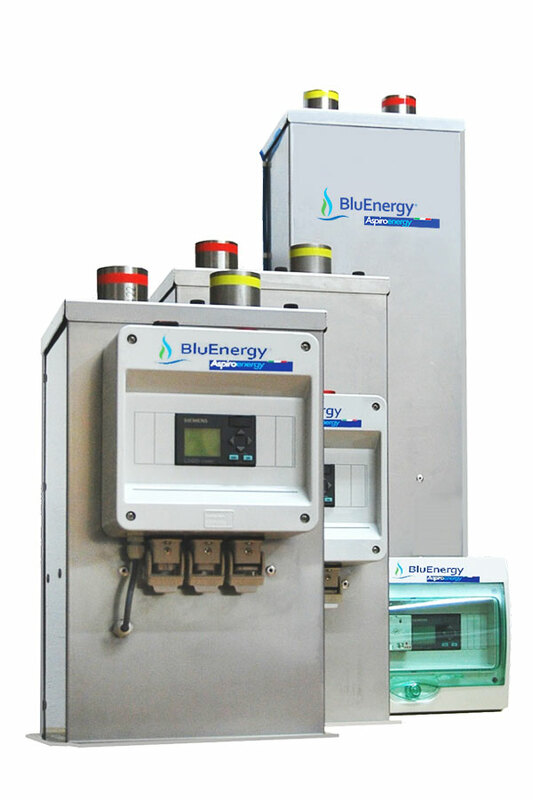 The system is fully programmable, fully automatic and maintenance is reduced and simple. 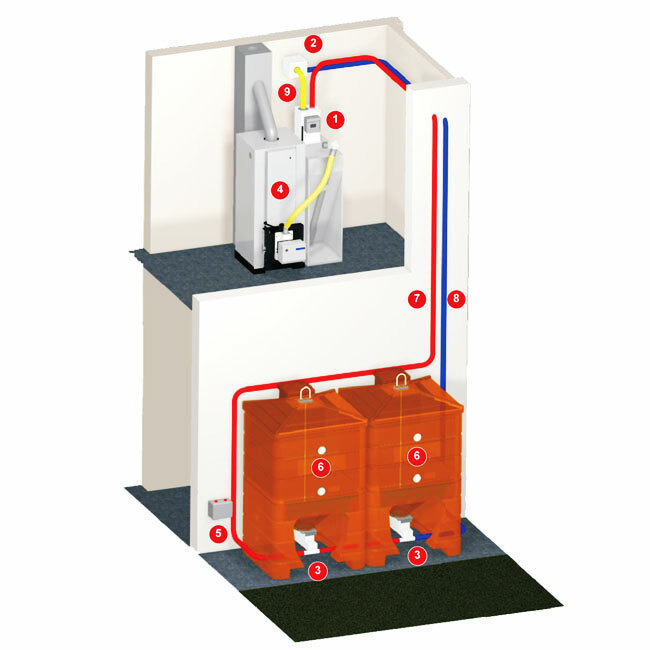 All components are pre-assembled at the factory and supplied with electrical connections dedicated assembled. The principle of operation exploits the air recycling, which avoids the dispersion of powders in the environment and reduces the noise.